Omnipure K2550-C/C-70/30-JJ Inline Calcite & Corosex Filter. The media of the K2550 is quite different than a lot of filters. Calcite is a crushed, white marble media, and neutralized by acidic water by raising the PH. The Corosex in the K2550 is adapted for use in filters as a special processed, hard magnesia bead, which increases the pH value to neutralize acidity. The Granulated Activated Carbon cleans and clears the water absorbing any chemicals such as chlorine or odor and makes the water taste great. Corosex uses magnesia to adapt the filters to neutralize acidity by increasing the pH value. Use Calcite only for PH levels 6.0 - 6.8. 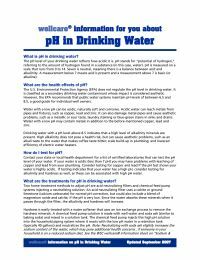 Use Calcite/Corosex for pH levels 5.5 - 6.0.